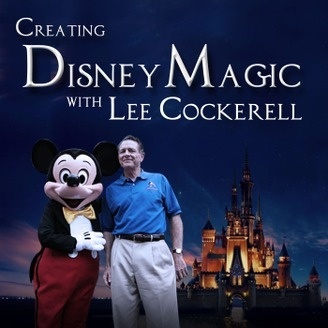 Over the last year or so, Lee Cockerell’s Creating Disney Magic: Lessons in Leadership, Management, and Customer Service podcast has become a Tuesday morning priority for me. 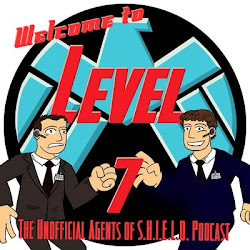 The podcast opens with host Jody Maberry setting up Cockerell, a former Disney executive, to discuss business topics that come from Maberry or even the listening audience. The topics covered are diverse ranging from leadership to customer service to using data to time management. In short, if there is a topic that could be useful to a professional working adult it is likely they will talk about it. for those of us with a whimsical side, Cockerell discusses these items in the very serious Disney business setting along with his background in hotel management. Along with these topics, Cockerell provides a very honest appraisal of his own struggles as a leader and as a human being. Integrity and common sense are really the words that come to mind when I think of Lee Cockerell. And these qualities make this show essential listening to me. I find that I not only listen on a weekly basis but also will search the archive for specific work issues that myself and others are facing in the workplace. And the reason this is a must listen is due to Cockerell. His answers typically provide an outlook that relies on common sense, being a person of integrity, and treating others fairly. This is not cut throat business advice, this is advice for people. He often makes it clear that a leader has to foster development in even poorly performing employees and that caring for people is really a core function of a leader. The Disney background gives Disney fans a background that helps understanding. Though honestly I have sent episodes to plenty of non-Disney fanatics and they still found these episodes highly useful. Creating Disney Magic:Lessons in Leadership, Management, and Customer Service is probably one of my top three podcasts. It is informative, educational, honest and short. It attracted me through the door due to my interest in Disney history and business developments. But I stay due to Cockerell’s reliable professional and personal development life!